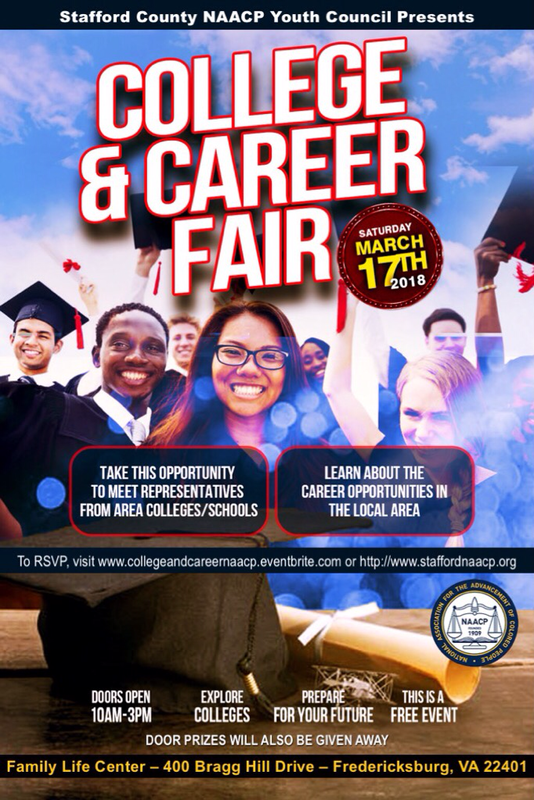 Join us for a College and Career Fair hosted by the Stafford County Branch NAACP Youth Council. Colleges, universities, trade schools and businesses from the local and surrounding areas will have representatives in attendance. Drawings for laptops, electronics, and more!